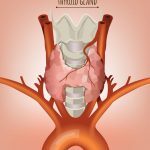 Can keto diet slow down the thyroid function? Why do the T3 levels drop in a keto diet? Are low T3 levels a good thing? Hypothyroidism is increasingly becoming more frequent around the world. When the thyroid gland is underactive and has abnormally low activity, it can cause retardation of physical and mental health development in both adults and children. As we already know, a lot of medical conditions, diseases, and illnesses can be taken care of with the help of a correct diet plan. 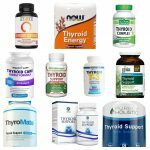 But, the ultimate question is – is a ketogenic (or low-carb) diet good for thyroid conditions like hypothyroidism and what kind of diet plan should people adhere to in order to support the health of the thyroid gland? 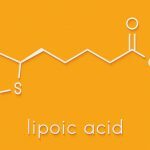 A ketogenic diet is a form of low carb diet where the body produces ketones in the liver to be used as energy. It is known by different names like Low Carb High Fat (LCHF) diet, low carb diet, keto diet, etc. When you eat something, your body produces insulin and glucose. Glucose is converted into energy while the insulin processes the glucose in the bloodstream and transports it throughout the body. Since glucose is the primary source of energy for the body, the fats are not needed and stored, which is typical on a normal higher carbohydrate diet. But, when you reduce the intake of carb, the body is induced into a state of ketosis, which is a natural process that allows the survival of the human body when there is a low intake of food. During this state, the liver produces ketones that breakdowns fat in the liver. In the end, the main goal of a keto diet is to force the body into the ketosis state by starving it of carbohydrates, not calories. One of the best things about a low-carb diet is that it promotes fast loss of weight. On the other hand, one of the worst things about hypothyroidism is the drastically low metabolic rate. Therefore, people suffering from hypothyroidism go through the obesity phase after some time. One advantage of undergoing a keto diet is lower insulin levels. It is problematic if you have too much insulin in your body. But, having too little insulin can just be as bad. Insulin is important for many important functions of the thyroid gland, including the liver’s ability to convert T3 from T4.. Hence, if you are on a keto diet, you will lower your insulin level to a point that the liver will not be able to convert T3 out of T4 adequately, which will inadvertently damage the thyroid by pushing the levels too low. Consuming carbohydrates increases T3 levels because extra T3 is required to burn glucose produced from carbohydrates. This is why you feel warmer after gobbling up a meal that is filled with carbohydrates. 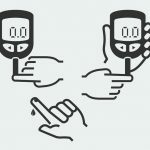 On a keto diet, you don’t need as much T3 because you are not spiking glucose levels from carbohydrates. This means that the body is more effective at metabolizing glucose on a keto diet so that you do not need higher T3 levels. According to studies, lower T3 levels may be a good thing when compared to people with higher T3 levels. 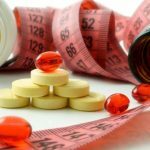 T3 is just a powerful metabolism stimulator that can give a false sense of improved thyroid function when, in reality, it is just artificially stimulating energy production. People with high T3 levels could be cut off on some golden years. People suffering from hypothyroidism should fill their diet with complex carbs from vegetables, whole grains, lean sources of proteins, and healthy fats like omega-3 from walnuts and salmons. Additionally, hypothyroidism patients should cut down on raw cruciferous vegetables, like cabbage, broccoli, etc. because of goitrogens, which interferes with the production of the thyroid gland. The above low-carb recommendations can easily be modified to fit a low-carb diet by basing your diet on healthy sources of low carb vegetables, proteins, and healthy fats. A meal filled with vegetables, like lettuce and spinach, and sprinkled with coconut oil can do wonders. A keto diet allows hypothyroidism patients to pull down sugar levels. 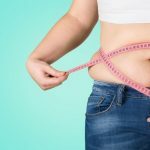 A slightly lowered T3 level is a feature of a keto diet, not a flaw. Some of the longest living creatures have low T3 levels. Thyroid increases T3 production to deal with glucose. Consumption of carbs increases iodine requirements because the thyroid requires more iodine to produce more T3 to deal with it. Hence, it does not mean carbs are beneficial or non-beneficial for the thyroid. 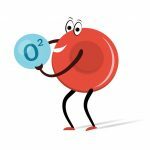 It simply means that carbs require more T3 to metabolize. The extra T3 is intended for glucose metabolism. A well-maintained keto diet has the potential to make your thyroid levels more effective. It will all come down to how you feel. If you feel hypothyroid but have no issues losing weight or feeling energetic, it is nothing to panic about. 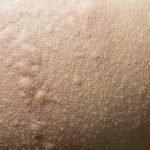 But, if you are shivering all the time, feel exhausted all the time, have fertility issues, etc., then you might want to consult a doctor. I have congenital hypothyroidism and going keto has helped me alot so far.